Sestante means ‘sextant’ in English, a traditional navigational instrument and a suitably nautical moniker for a thoroughly modern 70m concept by Mulder Design that is destined to become the flagship of the Baglietto fleet. 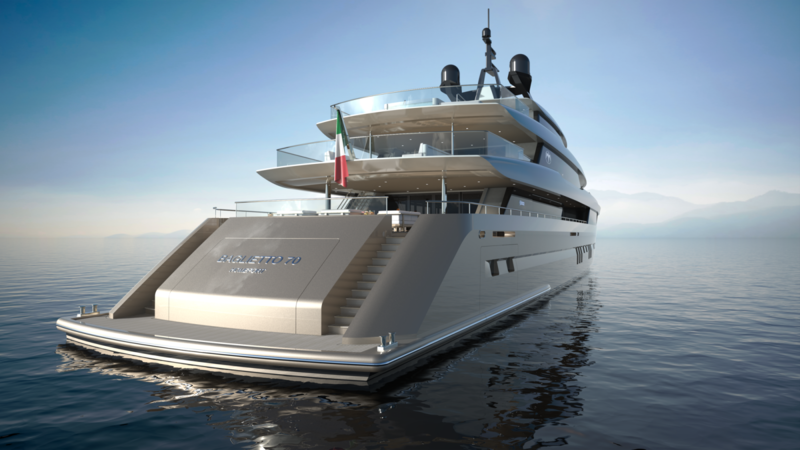 When Baglietto outlined its new product range at the Monaco and Fort Lauderdale shows, one project in particular raised some eyebrows. 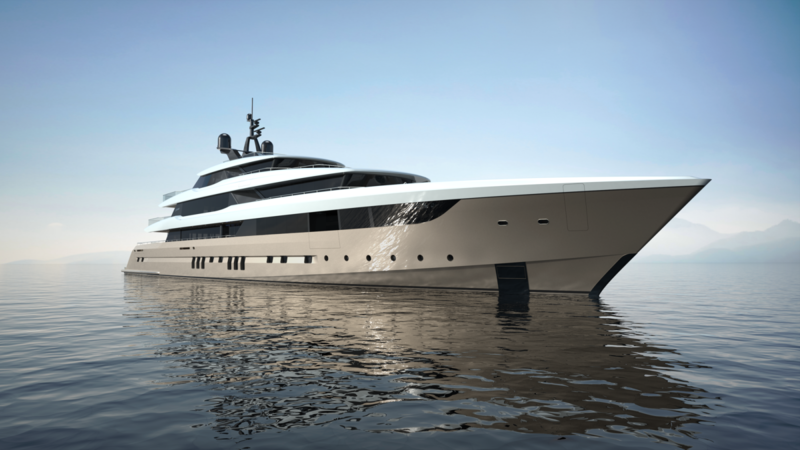 To date, the flying seagull brand has focused on the 30-50m size range, but its 70m Sestante concept designed in collaboration with Mulder Design in the Netherlands represents an ambitious step up in size. the graceful exterior styling that faithfully retains the Baglietto DNA, the heart of the project and its elevated performance lies in the advanced naval architecture. The technical platform is based on Mulder’s High Speed Cruising Hull that provides enhanced stability, seaworthiness and efficiency in all weather conditions. By optimising the flow of water using CFD (Computational Fluid Dynamics), the hull design achieves an efficient combination of hull shape, bulbous bow and transom immersion to lower resistance over a wide speed range without the loss of onboard comfort. Sestante will not only be very efficient at high speeds, but will also shine at long-range cruising speeds. Depending on the power package, top speeds of up to 25 knots and a range of 7,000 nautical miles at 12 knots can be attained. Further fuel efficiency can be achieved by specifying Voith linear jet propulsion combined with hybrid or diesel-electric propulsion. Naturally, the custom design is not lacking in creature comforts. The master stateroom, for example, features a private deck with Jacuzzi, while the VIP suites enjoys panoramic views from private balconies. 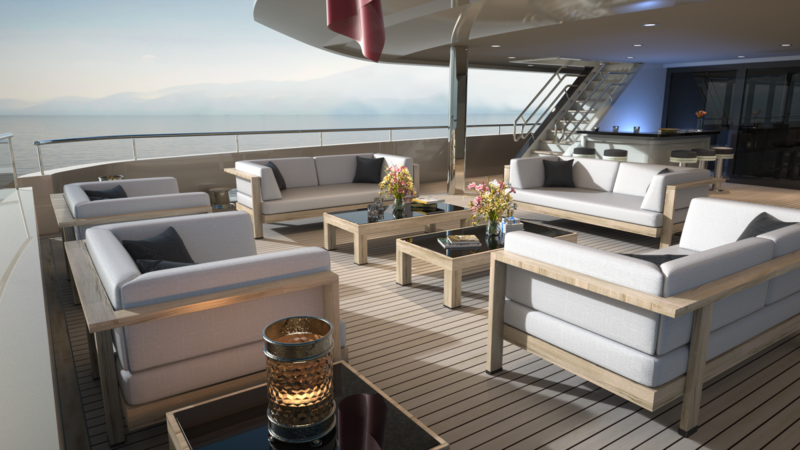 There is also a touch-and-go helipad forward and two large tenders can be stowed in the aft garages, one on port side and the other behind the beach lounge.